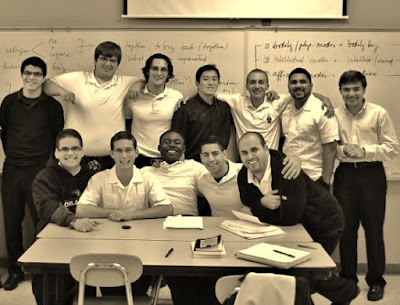 What role does friendship play in the work of education or, in the case of persons engaged in seminary ministry, formation? What spirit should guide it? What does it mean to say that effectiveness in education and formation involves the realization that one cannot merely form students in the manner of one "pouring" something into an empty receptacle, but by way of a fellow-learner, a fellow-seeker, a fellow-traveler and co-discerner on the road towards knowledge, wisdom, maturity and growth? Can an educator truly be a friend to those he or she teaches without losing sight of the importance and necessity of fairness, and without ending up playing favorites among those being taught? These are some of the questions I would like to consider in this series of reflections on education and seminary formation. In his dialogue De Magistro ("On the Teacher"), St. Augustine argues that teaching and learning belong to a single process in which teacher and student are mutually involved in educating each other and learning from one another. Teaching, Augustine says, is not the mere transmission of knowledge from one mind to another. Rather a teacher must meet those he or she educates "with a brother's, a father's and a mother's love". The most effective teachers are those who "journey with" rather than simply "instruct" their students. 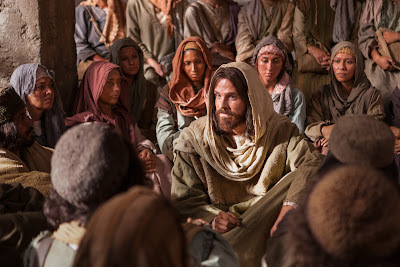 In the Farewell Discourse in the Gospel of John, Jesus says to his disciples: "I no longer call you servants, I call you friends" (John 15:15). St. Thomas Aquinas begins his treatment of love in the Secunda Secundae of the Summa Theologica by explaining that at the root of this change (from "servants" to "friends") is the love the disciples discovered and experienced during their time with Jesus and which, as he now prepared for his suffering and death, he enjoined each of them to have for one another. Simply put, the love Christ offers his disciples, St. Thomas says, is friendship. And he defines such love as "benevolence", i.e. willing the good of the other - something that an educator must obviously have towards his or her students. 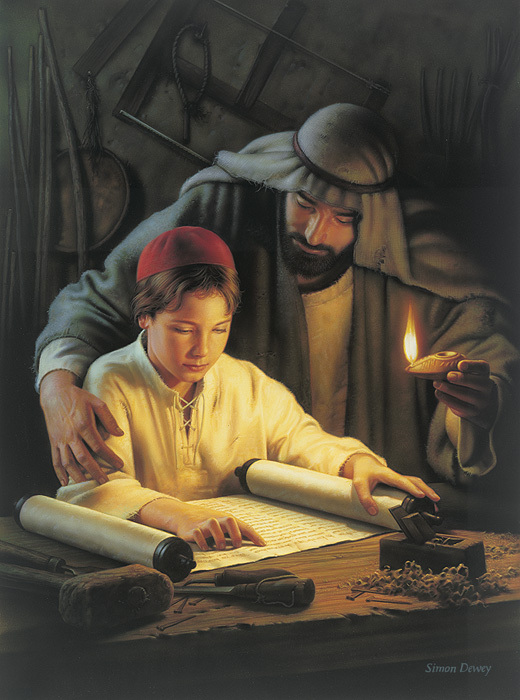 Without such love - a "brotherly friendship" - as Augustine calls it, the desire to learn simply cannot be kindled by a teacher in those he teaches. But can an educator really be a friend to his students? What does it mean for a formator to be a friend to those he forms? A good friend who's been in seminary ministry all his life once told me: "We can't really consider those we teach our 'friends;' they, after all, aren't our peers. We should be friendly towards our students, compassionate and always kind to them. But friendship? I don't see much wisdom in it. The teacher-student relationship is an essentially asymmetrical one. Besides, future priests, especially after the problems the church has had over the last couple of decades, need to be taught the real value and importance of recognizing and respecting professional boundaries. Teachers and seminary formators should be the first to model that". This is certainly a valid school of thought and, clearly, a very wise and important one. And yet there's that other view that says the most effective teachers meet their students "where they're at", who enter into their lives, respecting boundaries, yet seeking to understand them in a way that doesn't limit them to a name requiring an evaluation at term's end. "Remember, you were once a student yourself", another good friend told me before I began teaching. 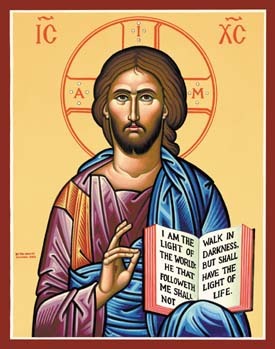 He had been himself in formation ministry for many years, and holds that the Incarnation should be regarded as the ultimate paradigm of education and formation: God entered into the life of humanity in order to raise it up. "The best teachers are those who walk with their students and, in the process, grow with them. True and meaningful education only happens in the spirit of friendship. 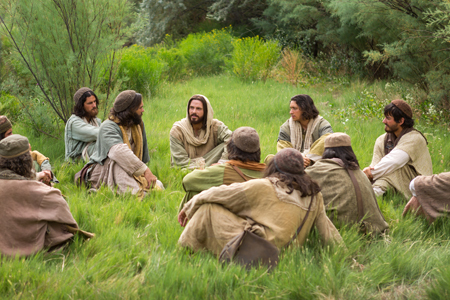 Even Jesus regarded his disciples as friends." Clearly, there is truth and wisdom in both perspectives. They aren't mutually exclusive, though admittedly, there is also risk involved in both. Is it possible then to arrive at a unifying middle ground between these equally valid positions? What would such a middle ground look like, and how can it serve as a practical guide for those of us in the ministry of education and seminary formation? Before attempting to answer these questions though, allow me to share the context that gave rise to them; and by that I mean, my own particular situation. I was born into a family of educators, and so perhaps it came as no surprise that when, as a young seminarian, my vice rector asked me what I thought I'd like my ministry to be as a priest, I said without even giving it much thought, "I think I'd like to teach". And for nineteen years now, that's what I've been doing - teaching and forming future priests. Academically, my area of specialization has been philosophy. Pastorally, though, my heart has always felt tethered to the ministry of educating the church's future ministers, though parish life, limited as it may be to weekends helping out at nearby parishes, continues to hold a very strong attraction. My situation is a rather unusual one, some priest-friends even say "anomalous". I am a diocesan priest who has spent practically all nineteen years of his priesthood in both the internal and external forums of seminary formation (as vocations director, dean of men, spiritual director, pastoral and human formation director and director of college seminarians) and in teaching at both Catholic and secular universities. 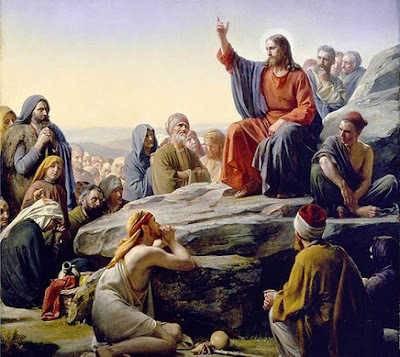 In fact, even before ordination, I was already teaching in seminary, having been asked by my superiors to spend my summer vacations teaching philosophy to collegians. Back at the now-shuttered American College in Louvain, I was the only student doing his theological studies and completing a doctorate in philosophy while being fully immersed in seminary formation, all at the same time. Post-ordination, I did explore the possibility of joining one of the teaching orders, the Jesuits or the Dominicans perhaps. I also seriously considered joining the Sulpicians. But when none of these felt like the right fit, I asked my ordinary to be allowed to concentrate fully on teaching and formation. Fortunately, my bishop who was once a seminary formator himself, freed me to pursue and further explore this calling. 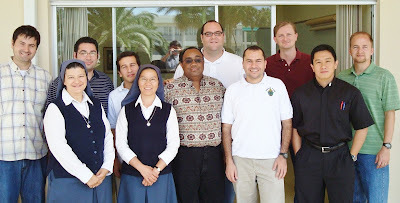 It is, from within such family and ministerial background that I have, throughout the past nineteen years as a priest and the previous thirteen as a seminarian, found myself continuously reflecting on the important role friendship plays in education and formation. I grew up seeing my parents not only respected but loved by those they taught. Also, the most important and enduring learning experiences I've had as a student were with teachers and formators, both priests and laypersons, with whom I felt a connection that transcended, yet at the same time maintained and respected, the teacher-student dynamic. Finally, as a university professor and seminary formator myself, the colleagues whom I've observed to have the most significantly positive impact on the lives of students are those who - in the words of a very wise laywoman who has taught in various colleges and seminaries for years - "hold their students close to their hearts with one hand while keeping them at a necessary distance with the other". The first time I heard these words, I admit, I was quite puzzled. I was newly ordained and had just been assigned as a full-time seminary professor and was asking for advice from friends and colleagues. "Wouldn't that confuse the students?" I asked her. "Not if you keep in mind that they're not really our own", came the even more perplexing reply. It was to take a number of years in seminary ministry before her meaning became clearer to me. - End of Part One. - Part Two: Authentic friendship allows us to transcend that self-seeking love that endangers fairness and gives rise to favoritism. St. Augustine, De Catechizandis Rudibus, "The Instruction of the Uninstructed", 17. St. Thomas Aquinas, Summa Theologica, II-II, q. 23, a.1. St. Augustine, De Catechizandis Rudibus, 17-19.